Several years ago, I shared ten of my favorite verse novels in celebration of National Poetry Month. Since then, the novel in verse has remained one of my favorite storytelling formats, and I’m so glad to share ten more that have stuck with me since then. Happy reading! Sam can’t wait to go fishing with his father, but he’s less than thrilled when his little sister Lucy joins the trip. 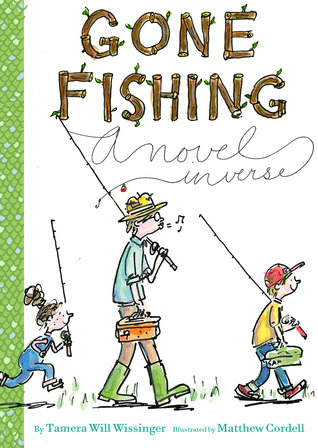 With charming illustrations by Matthew Cordell, Gone Fishing is a warm and amusing family story, and a great introduction to poetic forms for young readers. About to turn twelve, Amira dreams of a different life than her mother’s and longs to go to school. Her father encourages her dreams with the gift of a twig, which Amira uses to draw in the sand on their farm in Sudan. When militants attack her home, Amira and her family suffer devastating loss and are forced to flee to a refugee camp. Under such harrowing circumstances, Amira’s dreams seem impossible, until a simple gift reminds her of the importance of hope. 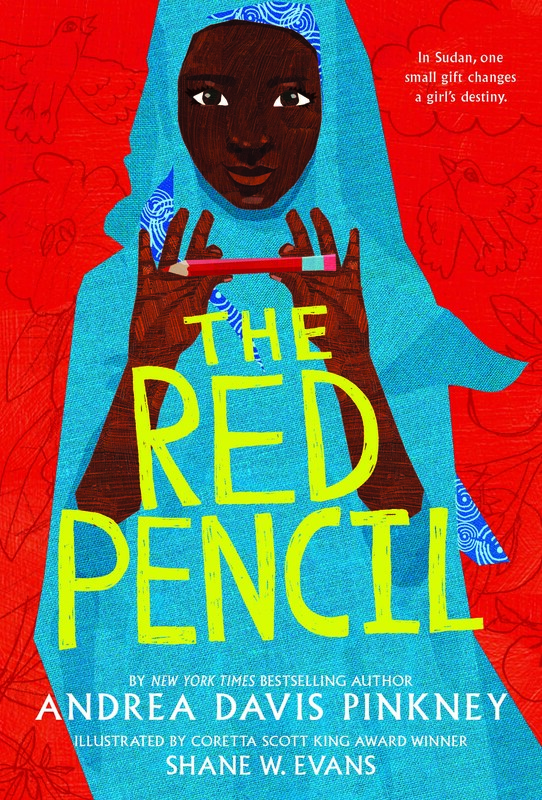 Andrea Davis Pinkney shared her own Nerdy Book Club essay about creating The Red Pencil. Also, view the free educator’s guide. Kek, a Sudanese refugee, finds himself transplanted to the United States in the wake of tragedy in his village. Sent to live with his aunt and cousin in Minnesota, both refugees as well, Kek feels out of place in a new world. He finds a connection to his old life in the form of a cow on a nearby farm, and gradually learns to build a new one, even as he yearns desperately to uncover his mother’s fate. Resources for the book, including an educator’s guide, can be found here. 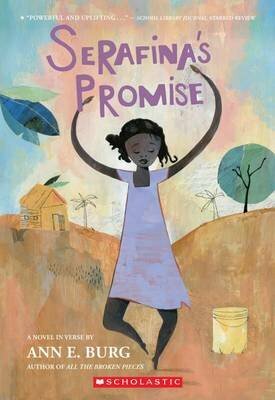 When Serafina’s baby brother Pierre dies, she promises herself that one day, she will become a doctor. For a young girl growing up in rural Haiti, however, this is easier said than done. For one thing, there are endless chores to be done, and a school uniform costs money that her family doesn’t have. Her dream seems even more impossible when first a flood and then an earthquake threaten her home and the safety of her family. In the face of such hardships, can she find a way to persevere? View a discussion guide and an interview with author Ann E. Burg, provided by Scholastic. 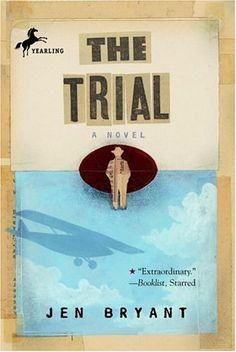 Twelve-year-old Katie dreams of being a writer, and when her uncle, a journalist, injures his wrist, she gets the chance of a lifetime: to help him take notes on the trial of Bruno Hauptmann, accused of kidnapping and killing the son of legendary pilot Charles Lindbergh. Through Katie’s observations, readers follow both the trial and the media frenzy that erupts around it, as Bryant explores one of the most famous crimes in American history. View additional resources available on the author’s website. 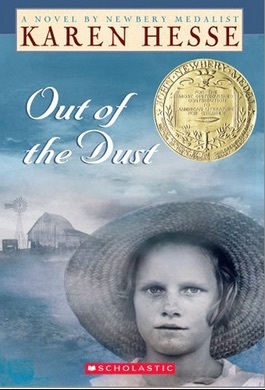 Winner of the 1998 Newbery Medal, Out of the Dust brings the experience of growing up in the Dust Bowl to haunting and heartbreaking life. Thirteen-year-old Billie Jo and her family are trying to get by on their farm in Oklahoma during the Great Depression. After a tragic accident for which she is partly to blame, Billie Jo loses her mother, brother, and the use of her hands. Lost in guilt and grief, can she find a way to heal? View a discussion guide and related resources, provided by Scholastic. 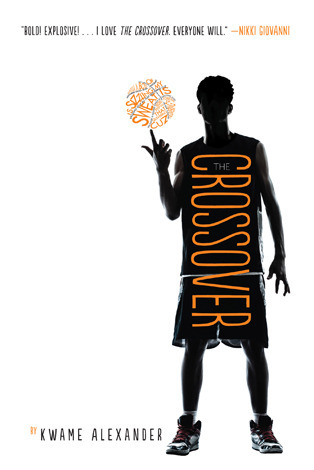 Winner of the 2015 Newbery Medal, The Crossover follows twin brothers Jordan and Josh Bell as they navigate adolescent life on the basketball court and off. As the brothers face the challenges of junior high—including a new girl in Jordan’s life—they find themselves being pulled in different directions for the first time. Coupled with courtside excitement and their father’s shaky health history, this makes for an unforgettable book that’s part family drama, part sports story, part coming-of-age tale, but all-around win. Also recommended: Booked. In this memoir-in-verse, author and poet Jacqueline Woodson recollects her childhood growing up in Ohio, South Carolina, and New York. Anchored in memories of her family and set against the historical backdrop of segregation and civil rights in the United States, Woodson gives readers stirring and provocative insight into her personal and family experiences and her journey toward becoming a writer. 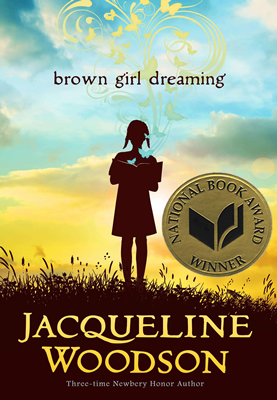 Winner of the 2015 Coretta Scott King Author Award, 2015 Newbery Honor, and 2014 National Book Award for Young People’s Literature. In this memoir-in-verse, author and poet Margarita Engle shares her experiences growing up as a child of two cultures. 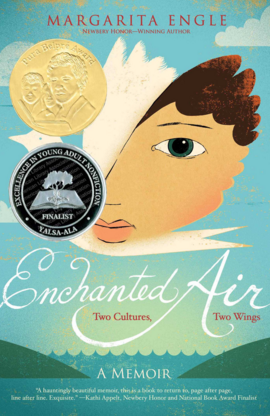 Opening with a glimpse of the whirlwind romance between her American father and Cuban mother, Enchanted Air captures Engle’s childhood memories of living in California and visiting her family in Cuba. Deeply anchored in both places, yet belonging entirely to neither, Engle finds herself questioning her own identity and longing for her family as the effects of the Cold War and the Cuban Missile Crisis separate her from her beloved Cuba. View a curriculum guide available on the author’s website. Winner of the 2016 Pura Belpré Author Award. In this fictionalized memoir-in-verse, Weatherford imagines the early life of legendary singer Billie Holiday, starting with Holiday’s birth and following her to age 25 and the debut of “Strange Fruit.” The poems, which share their titles with Holiday’s songs, capture the singer’s irrepressible voice and spirit as they chronicle her troubled life, including her relationships with her unreliable parents, violent encounters and time spent in reform schools and jail, her struggles with men, racism, and poverty, and the role of music in her life as she discovered and shared her talent. View a reading and discussion guide available on the author’s website. Lauren Strohecker is a K-6 teacher librarian in the suburbs of Philadelphia. She has been a proud book nerd since childhood, and when she’s not teaching or reading, she tweets at @lkstrohecker. 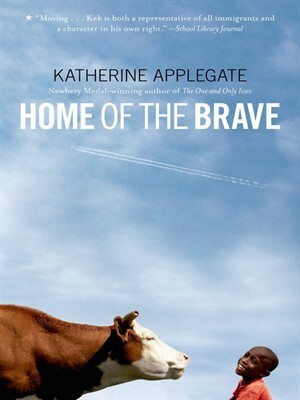 Wonderful books….Home of the Brave was an early wake up to Novels in Verse for me. I just love that book so much. I just cannot get enough Novels in Verse and am so very happy when I can introduce young readers to them in my MS library. Kids really do like them when they see how accessible they are. Thanks for sharing! Thank you for the great list and the resource links included with the description. I had the books in a resource list but now I’ve added the resource links to each catalog record hopeful that teachers will find and use them! Thanks for the recommendations, Lauren! I love verse novels too!! There are some titles here that I was unfamiliar with. Margarita Engle has been so prolific, and I have only read her picture books—got to get on that! A recent favorite MG read is Laura Shovan’s The Last Fifth Grade at Emerson Elementary, a stunning debut using 18 different POVs. I’m also a huge fan of Karen Hesse, especially Out of the Dust (from your previous list) but her Witness is also wonderful (as is The Music of Dolphins). I also loved Melanie Crowder’s Audacity, a powerful historical novel in verse about the labor rights activist, Clara Lemlich, a Russian immigrant who led the New York shirtwaist strike of 1909. Sonya Sones is also one of my favorite YA verse novelists. I love her What My Mother Doesn’t Know its follow-up, What My Girlfriend Doesn’t Know—they’re wonderful! I could go on & on but I’ll stop at Jacqueline Woodson’s Locomotion (though I haven’t read its follow-up). Thanks so much for the suggestions! I went on a huge Margarita Engle binge after I read Enchanted Air. I loved every book of hers that I read, but The Lightning Dreamer especially. She is such a wonderful writer! I actually have Full Cicada Moon and The Last Fifth Grade of Emerson Elementary, but haven’t gotten to them yet. I’m hoping to make time for them both this summer. Thanks again for the recommendations! I’m a big fan of K.A. Holt’s novels in verse, BRAINS FOR LUNCH, RHYME SCHEMER, and HOUSE ARREST. She has phenomenal range, and creates a blend of sly humor and deep emotion that just wrecks me. I want to strongly second KA Holt’s House Arrest. 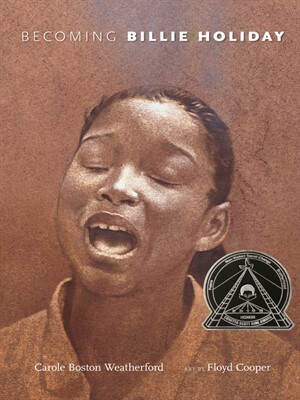 Incredible voice and a heartprint book that will really stick with you. Thank you both for the suggestion! I’ll definitely check these out! I’ve read six of these (and second what Linda Mitchell said about Home of the Brave — what a gorgeous book!) and my favorite of these is Serafina’s Promise. But clearly I need to add the others to my TBR list, including Mike Jung’s suggestions. Thank you! If you want to use a Michigan author, take a look at Learning from Lady Chatterley by Gloria Nixon-John. The setting is Detroit, 1950s.